Hunter Hayes has been one of country music’s brightest young stars for a while now. Since his major label debut in 2011 at only 19 years old, the singer has been nominated for five Grammys, and won the CMA for Best New Artist. The song “Everybody’s Got Somebody But Me” was released as the fifth single off his debut album, Hunter Hayes. The song was actually originally released without Jason Mraz’s vocals, but they were added to track upon its release as a single. 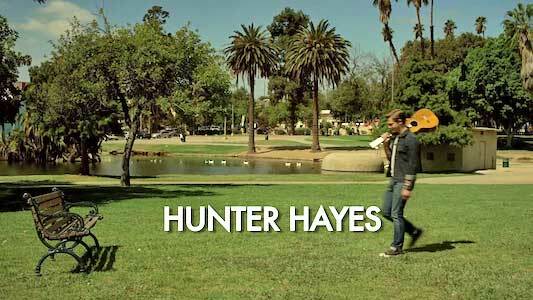 Hunter Hayes arrives at a bench where he’ll see that everybody has somebody but him. The song is an upbeat, pop-influenced duet that feels much more like Jason Mraz’s style of music than traditional country music. The song is about a guy who looks around and sees nothing but couples in love. He has no one to call his own, and hears nothing but love songs on the radio as it seems that everybody’s got someone but him. In the last verse, the narrator reveals that he used to have someone, but now that they’re through, he doesn’t know if he’ll ever find someone again. This song is definitely relatable for anyone who’s ever been through a breakup or just had a terrible case of the single person blues. Hayes strums on his guitar in black chucks as nothing but happy couples surround him. The music video takes place in an open field park. Hunter and Jason each sit on a bench alone, both wearing pairs of blacks chucks. In fact, they’re both wearing pretty much the same outfit which highlights their similar predicament. They both sit and watch as everyone that comes and goes has somebody they care about. There’s a stray dog that actually has an owner who has a boyfriend, an elderly woman who has her husband, a young couple that's wildly in love, and a lonely girl that ends up getting proposed to right next to Hunter. 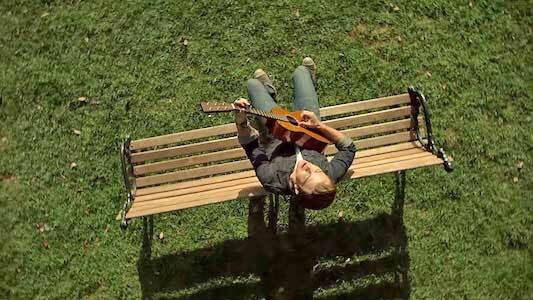 It’s a fun video that shows the lighter side of the song’s message about loneliness. It’s nice to know that even in times where you feel alone, you can laugh when the universe decides to show you that everyone else has someone. Jason Mraz also sits at the bench wearing black high top chucks. Click on the links below to get a new pair of chucks to keep you company.